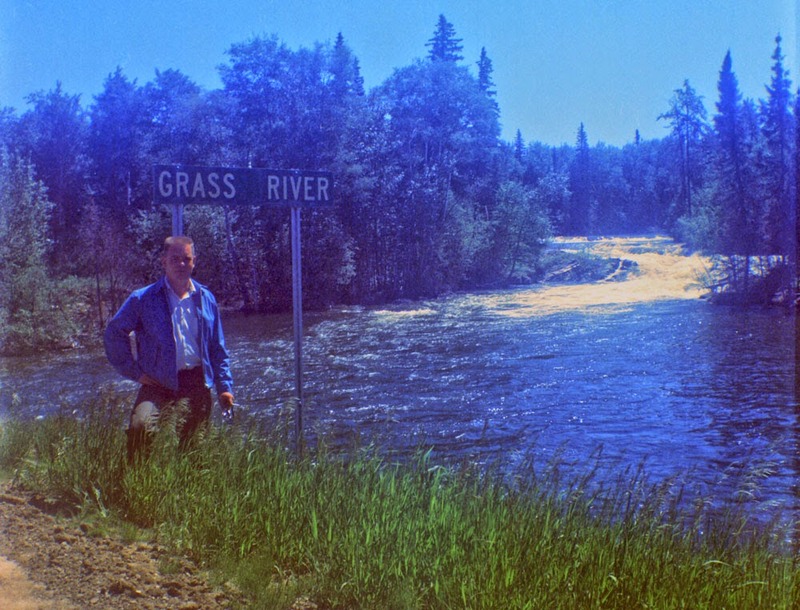 Here's Dad near the Grass River in Manitoba sporting a truly archetypal 1960s crew cut. The original photo is pretty overexposed and resisted my efforts to correct it; I need more practice. The grass is sure a vibrant green, though.